African legumes are an important protein source in the human diet. However, a long and often extended cooking process has been identified as a major challenge in the consumption and utilisation of these legumes. 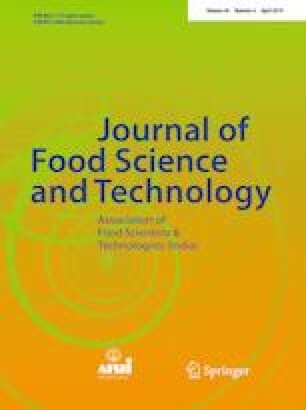 The application of infrared heating as a method of shortening the cooking-time of African legume seeds and flour, by increasing their water absorption rates and pasting viscosity is emphasised in literature. Structural changes caused by infrared heating of moisture-conditioned African legumes include microstructural, molecular and interaction of the biomolecules in the seeds. However, to the best of the authors’ our knowledge, no overview on elucidated mechanisms surrounding the microstructural and molecular changes of infrared heated African legumes has been done. The authors’ therefore, present current knowledge of these mechanisms including certain highlighted factors such as seed sizes, moisture, surface temperature and time, affecting the efficacy of the application of infrared heating to African legumes. In conclusion, infrared heating is a promising technology that provides a potential solution to the consumption and utilisation challenges of African legumes and flour from these legumes, to enhance their consumption in the food industry. The work was supported through the Global Excellence and Stature Funding (GES) of the University of Johannesburg granted to the main author (Ogundele O. M).